We are the UK's #1 Projector specialist on all things projection, outstanding customer service and lowest prices on AV equipment. Cinematic experience in the comfort of your own home. Just add popcorn. 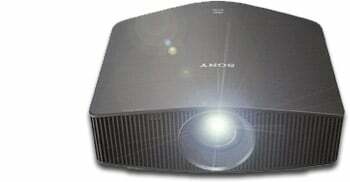 Looking for a projector for your meeting room? Projectors hand picked by our team here at ProjectorPoint. Electric screens, pull down screens, in-ceiling screens and more. Whatever digital projector you have, we have the replacement lamp for it. 4K HDR : No compromise. The Sony VPL-VW260ES is a native 4K resolution, HDR enabled with HLG compatibility dedicated home cinema projector that delivers 4K images with no electronic enhancement of pixels. Connect your UHD BluRay player, 4K Games consoles and more to the projector to watch Ultra HD images without compromise.